Steve Sarbacker joined the firm in 1997. 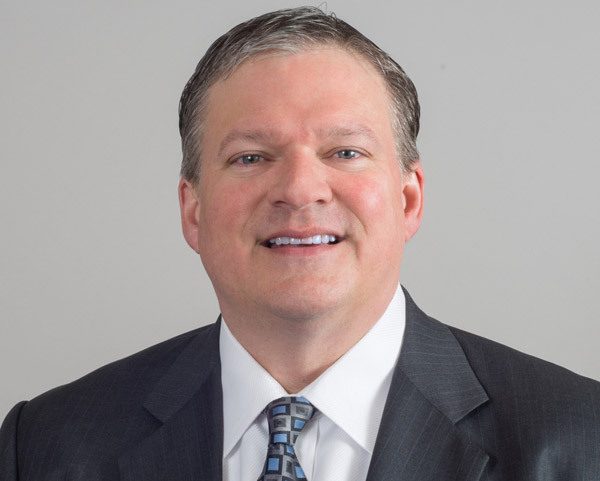 He grew up in Moorhead, Minnesota, and graduated in 1988 from the University of North Dakota with a degree in banking and finance. After working in sales and lending for two years, Steve returned to Grand Forks and began his studies at the University of North Dakota School of Law. In 1993, he was awarded his law degree with distinction and was selected as a member of the Order of the Coif. Steve began his law practice with the Attorney General for the State of Missouri. He later worked for the Missouri Department of Insurance, and he eventually became Chief Counsel of the Division of Financial Regulation. Steve was in charge of all mergers and acquisitions involving insurance companies, HMOs, and other regulated entities in Missouri. In 1997, he moved to Sioux Falls and joined Cutler Law Firm, LLP. Steve has been recognized in the 2011 and 2012 editions of Great Plains Super Lawyers®. Steve’s interests include playing hockey, hunting, fishing and antiquing. He and his wife, Sarah, have a son, Isaac, and a daughter, Lydia.